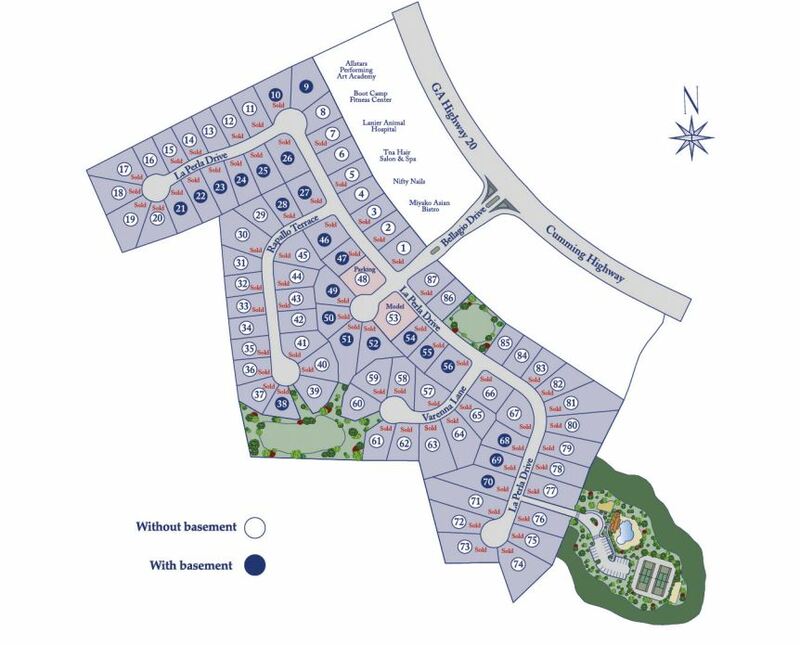 The Ryland Homes built community of Ashford Crossing, is located in the City of Sugar Hill GA, 30518. Homes built in the traditional to craftsman style and range in size from just over 2,000 square feet to close to 4,000 s.f. Most homes have between 3 to 5 bedrooms and most homes have 2 car garages. Community amenities include neighborhood swimming pool, tennis courts, and playground. Most homes built 2014-2015+. HOA fees, at time of post, are $650.00 a year. Schools at time of post: Elementary-Sugar Hill-Gwinnett / Middle-Lanier / High-Lanier. Directions: Take 400 North and merge onto US-19 N, go about 18 miles. Take GA 20 East Exit toward Buford. Stay right at the fork in the road and merge onto GA-20 East/Buford Highway. Travel about 6 miles. Turn right onto Bellagio Drive into the community of Ashford Crossing. This Pulte Built neighborhood of homes is located in the City of Sugar Hill, Gwinnett County GA 30518 just off of Suwanee Dam Rd NE and between The GA 400 and 985. Earlier Builder includes Bowen Family Homes Builder. The list price range for a home in Barrington Sugar Hill is between $125,000 to $299,900. Most of the homes built between 2002 to 2013+ in the community. Homes in the neighborhood have from 3 to 6 bedrooms & 2.5 to 4 bathrooms. The median sales price for a house, at time of post, is $202,085.00 and the average total list days on market is 191, at time of post. HOA fees-(Home Owner Association), at time of post, are $408.00 a year and includes Playground, Swimming Pool, Sidewalk, and community Street Lights. Neighborhood streets include Binkley Trail, Pierless Ave. Directions: Take GA-400 North to Exit 14-Merge onto GA-20 heading East for approximately 6 miles-Turn left onto Suwanee Dam Rd-Community will be on the right.